People often neglect to wear the right set of shoes on a daily basis. A misconception among many is to wear cheap shoes for regular usage while having the premium ones for special occasions. Especially if it comes to dress shoes that are meant to be worn throughout the day, one needs to select all keeping in consideration their budgets as well as the period of usage. La Milano features a collection of some well-crafted handmade shoes across different budget categories. This company is known for designing a variety of shoes that combine both comfort and styling as per the changing needs of their customers. One of the more popular selling mens dress shoes made by this company is the La Milano Wide Width Mens Oxford Shoes. Featured in the medium budget category, the shoe is made from cow leather. It comes with synthetic lining and a gel-based comfort footbed that promises to offer a comfortable fit for people wearing the shoe for the entire day. The shoes are offered in 6 different shades which should meet the taste of most customers. The following review takes a look at the shoes many features and compares it against the other available options. The shoe has been designed to be worn for both formal and informal purposes as it actually combines modern styling as well as a strong built quality. The basic features of this product are discussed below. These wide mens dress shoes are available in many sizes with widths up to triple E size made for the widest foot. The synthetic sole complements the entire finishing by offering the required comfort as well as the stability when you walk. The shoes boast of an upper section made from 100% real full grain leather sourced from cow. Additionally the superior stitching quality ensures that you are destined to use this shoe for a considerably longer period of time. Both the outer and inner lining of the body of the shoe is reinforced with a synthetic lining that adds to the durability and longevity of the shoe without adding to the weight as a whole. The other plus here is the subtleness it offers to the entire design. The insole or the footbed insert of the shoe is made from comfortable perforated gel material that aids in the breathability factor and a comfortable fit. The footbed inserts or insole of the shoe is made from soft gel material equipped with perforations for ultimate comfort and breathability. The sole of the shoe is made from a synthetic material that helps with traction and grip issues on wet surfaces. Comfortable to the heels without the added weight, the rear section of the sole is equipped with a sturdy heel that provides ample support and measures approximately 1.2 inch or roughly 3 cm in height. The stitching on the shoe surface and is done in the way that it allows the easy passage of air thereby expelling any entrapped moisture and sweat. This becomes a necessity for protecting your skin from irritating rashes and skin problems. 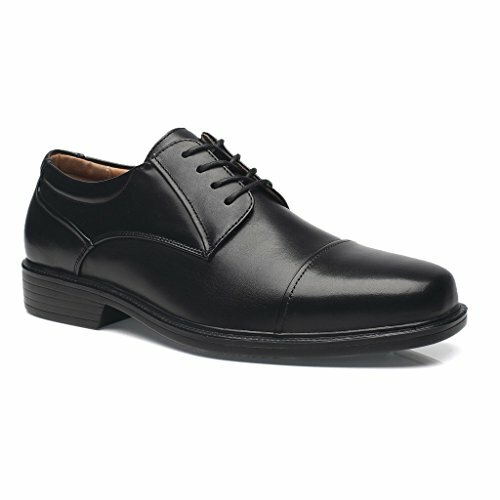 How good are the shoes for daily usage? Considering the shoes being used on a regular basis, the thing that stands out is the comfort. Having a wide width certainly lets the feet stay relaxed as a very tight shoe can lead to several problems related to the feet. Moreover, the extra comfort certainly adds to the stability being offered when walking on different kinds of surfaces. Additionally, the heels are adequate as it offers the right grip combined with a perforated insole that enhances breathability. It also comes with a lightweight synthetic outsole to let it remain protected from wear and tear. How good is it against its other competitors? The market certainly offers more options than needed when it comes to different shoes. However, with more choices available, a customer has the option of finding the perfect pair of shoes for his requirement. Speaking about similar shoes that are up against La Milano are the options offered by Bostonian, Clarks, and Deer Stags. 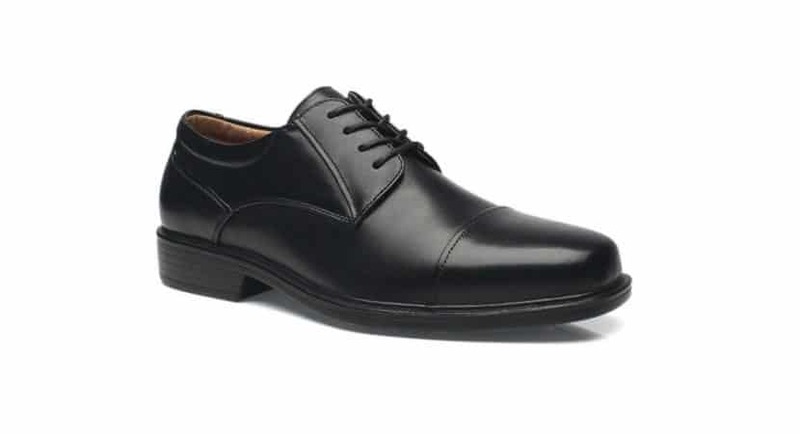 Especially, Clarks Men’s Tilden Cap Oxford Shoe is quite close when it comes to the build structure and the price range. However, the aspect that makes La Milano a better option is the extra wide construction that’s designed to fit almost every size of feet. Closing upon the review, the La Milano Wide Width Mens Oxford Shoes is built to last for a good period of usage. The finishing quality and the ease of maintenance is something that works in favor of wearing the shoes without too much of a time devoted towards it. As already discussed, these shoes being available with extra wide base offers the comfort and the ease of wearing or opening quickly. The availability of 6 colors enhances the aspect of options that are available to the customers seeking variety for the same design. The only thing you should be sure about is the size as selecting the wrong size can be a disappointing experience. To select the perfect sized shoe, a customer is provided with the size chart that can be used to evaluate the best size as per the measurements of their feet.